I'm sorry I haven't posted in a while. The fact is, I haven't done anything. 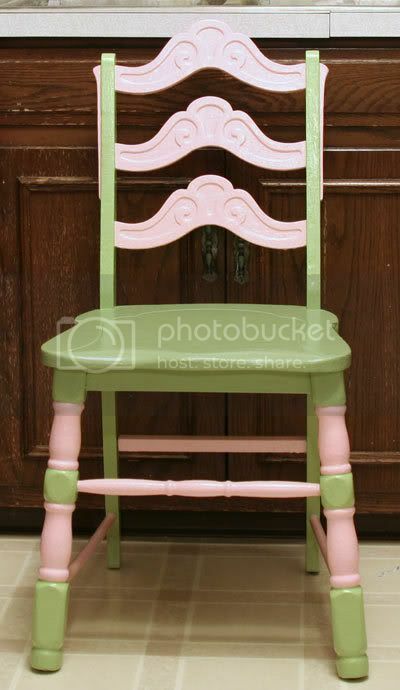 Well I did paint this chair and it was the project I needed to finish so that I could start making cards and layouts again. I bought this chair and a desk that matched it at a yard sale a long time ago. I paid a whole five dollars for both-great deal right? Well the desk (which was my old sewing desk) was not working for sewing anymore but I thought I would keep the chair since it has a fairly small footprint. I have the computer chair for my sewing desk but wanted a regular chair for stamping. Mainly because I take pictures of my cards in there and I can't hook my gorillapod on the computer chair. 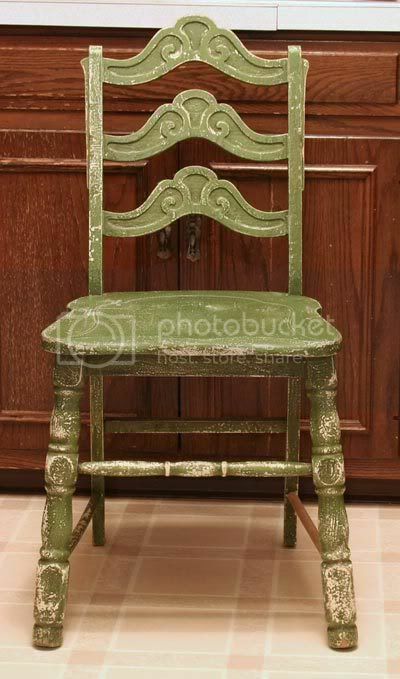 So I decided to take this ugly green chair and make it over. I sanded it *a little* (didn't want to release possible lead dust in the air right? That was my excuse anyway) and repainted it. I think it might have had 5 or 6 coats of paint on it already so the finish was a bit...bumpy. And you could see old paint drips in some places. But I'm not entering it at the county fair or anything and I didn't want to kill myself making it look perfect so I just roughed up the old paint and painted right over it. We had to do a little bit of repair work (note the plain dowel-the old one was missing) but otherwise I did pretty much nothing. So here's the new one-painted green and pink to match my other stuff. The original plan was to paint green in those swirly decorative parts but I was lucky to paint a straight line much less a swirly one so I thought it would save my sanity just to leave it all pink. I'll probably make a chair pad for it because it's actually not very comfortable. edit-there should be four pictures. Today only three were showing up so I switched the one to photobucket. I think I will have to start using photobucket instead of imageshack because this keeps happening. If all four pictures aren't showing up let me know and I'll fix them. I just joined Paper Craft Planet after seeing it on some of my friends' blogs. HERE is the link to my PCP page. Now I'm off to explore some more. Oh my gosh-I was just looking around my dashboard and this is my 100th post!! Yay!!! I couldn't take the yellow anymore so I lightened it. I like it much better but the colors still look really strong to me-I'm just used to the soft lighter colors. Also I got my sewing table pretty much done so I can finally clean up and make something soon! I have to send my baby away. My camera, that is. It isn't focusing right and I don't know if it's my camera, my lenses or both. So I will be packing it all up and sending it to Canon for evaluation. If it costs too much to fix (if it's the body) I will probably just upgrade the body. In the meantime if I make anything (which is unlikely right now as my stamping table is completely covered with everything that was on my sewing desk) I'll have to try to get a decent pic with my G2 (which, as you can see in my last post, isn't quite right either) or my S410. 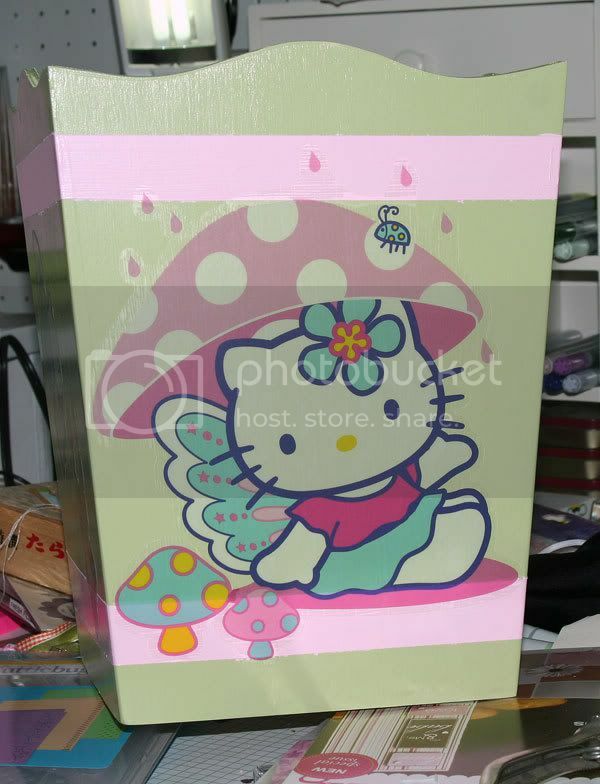 On a positive note, I found the perfect baskets for what will become my new sewing table. My plan is to put a sewing table top (with the sewing machine section that is lowered down so the bed of my machine is level with the surface) on top of some shelves and use baskets in the shelves to hold my stuff. We went to Hobby Lobby yesterday and I found baskets that look like they were made for the shelves. Now I just have to wait for Steve to finish getting the crops in and cut the shelves to the right size for my table. Or maybe he'll do it on Sunday. When I get it done I'll take some pics. I *might* paint the baskets. I haven't decided yet.